Muney Shrestha was 7 years old when a magnitude 6.8 earthquake struck the Kathmandu Valley in her native Nepal in 1988, killing more than 1,000 people. 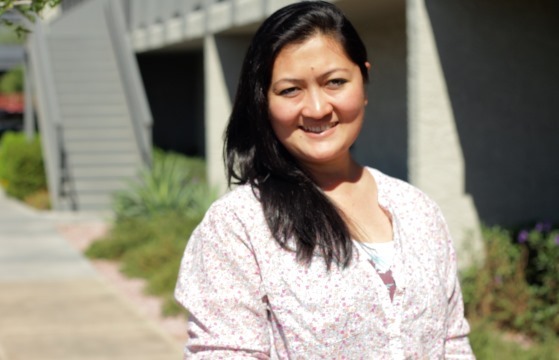 But Shrestha, a Grand Canyon University facilities application administrator, said she feels more helpless now, three days after a 7.8 quake on Saturday devastated the country, as she waits for updates from her family nearly 8,000 miles away. 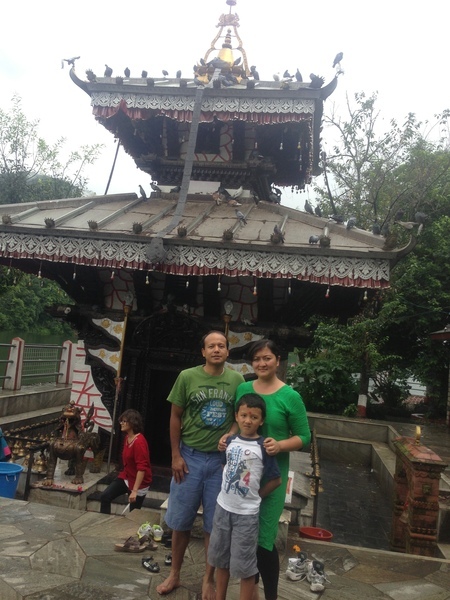 Shrestha’s family resides in a rural area in Kathmandu, the city that suffered the most damage, but was able to escape to safety. Because their home is too damaged to live in, her elderly parents, her sister and her brother are living in crude tents fashioned from plastic tarps in an open area away from tall buildings or collapsible structures with limited resources and little aid. By Tuesday morning, more than 5,000 people had died and 11,000 were injured in the earthquake, according to Nepal’s National Emergency Operation Center. Shrestha, 34, has had brief contact with her family, but has not heard from them since four large aftershocks were recorded. She is doing all she can to collect funds to send to relief organizations, but feels she can only make a small impact, so she is urging others to donate, too. Shrestha moved to the U.S. in 2007 to live with her husband, Achyut. The couple briefly talked with her brother-in-law on his satellite phone after the earthquake, but has had limited contact with her parents in order to keep phone lines open for survivors trying to reach rescue operations. Her family’s well-being is a constant worry. Shrestha checks news websites for updates throughout the day and waits for phone calls. Her sister, Honey Shrestha, was discharged from a hospital on Friday after heart surgery, and couldn’t walk. Fortunately, she was able to reach her family before the earthquake. Shrestha’s 75-year-old father, Shankar Mohan Pradhan, her 60-year-old mother, Suman Pradhan, and her brother, Sudeeb Pradhan, were not injured, but they are struggling with health issues living outside in the rain and cold, and have limited food and water. Achyut’s second cousin was killed trying to escape a three-story building that collapsed, and two of his children were injured. Shrestha is remaining positive and asking for prayers for her family and other survivors. 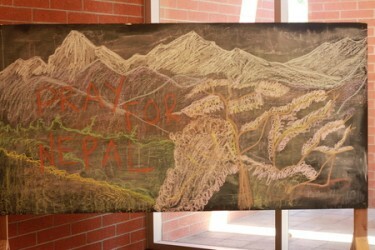 Shrestha and her family and friends are collecting donations for the Nepalese Society of Arizona. Donations can be made through the PayPal account of its parent organization. All donations are tax deductible, and PayPal is waving transaction fees until May 26 so that 100 percent of donations can go to the victims. Other relief funds include: UNICEF, Samaritan’s Purse, World Vision and the American Red Cross. GCU is donating $5,000 to the relief efforts. GCU Dean of Students Pastor Tim Griffin said the victims in Nepal are in the prayers and minds of the University’s students, staff and faculty. Those who cannot donate can contribute through prayer, he said. “The tragedy in Nepal is such a difficult situation for so many living in and around that part of the world. Those of us who live far away can offer prayerful support in a variety of ways. Monetary donations and intercessory prayer are a couple tangible gifts that we can make for those affected,” Griffin said. Shrestha is knocking on doors and passing out pamphlets to spread the word and collect donations. She hopes others see it in their hearts to help. Even the smallest contribution makes an impact, she said.